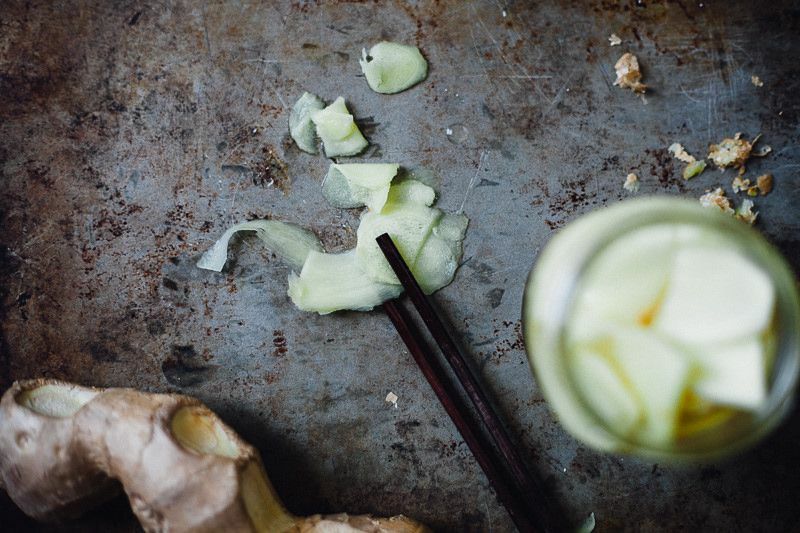 Today: With help from Molly Yeh of My Name is Yeh, pickled ginger is stepping out of wasabi's overbearing shadow. I feel sorry for pickled ginger. It’s usually dyed a weird shade of pink, it doesn’t resemble a raw knob of ginger, and you wouldn’t even get a kick out of successfully triple-dog-daring your dad to eat a raspberry-sized blob of it like you would its sassy green sister wasabi. Pickled ginger, it seems, has always been the other sushi accoutrement. More: Leftover ginger? Here's how to enjoy it at every meal. Until an embarrassingly short time ago, when I made the connection that the odd little pile on my sushi plate came from the same root that made ginger ale and ginger chews, I was too afraid to try it. It may look slimy and gross (right?! ), but when I did finally try it, I realized how good it tastes. It adds that perfect refreshing zing to my nigiri and my maki, and now no sushi supper is complete without it. Sushi night at home used to mean putting on my eyeglasses and looking closely at every item in the “Ethnic Food" aisle for a small and expensive jar of artificially-dyed pickled ginger. Now, with a homemade option, sushi night is tastier, less expensive, and more natural. I’d estimate that it’s approximately one unit of ease less than using store bought, but it is well worth the effort. A few pickled ginger tidbits: Young ginger will naturally turn slightly pink from the pickling process. 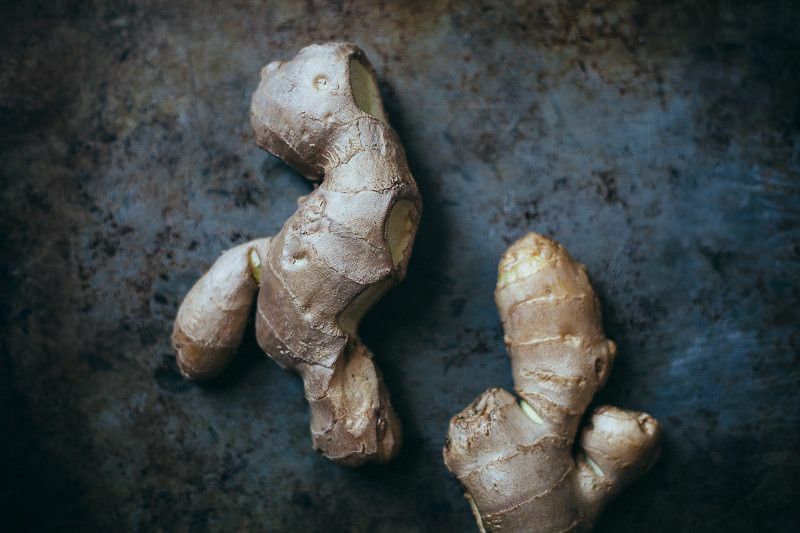 Many store-bought or mass-produced types don’t use ginger that is young enough, which is one reason why it’s artificially dyed. 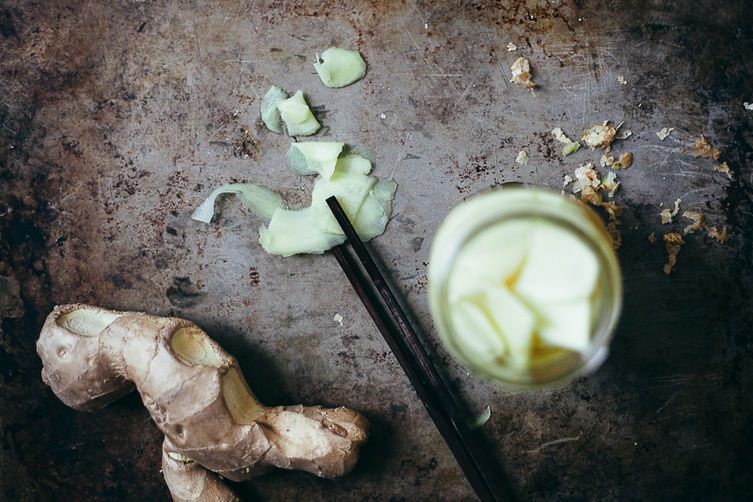 Pickled ginger was originally served with sushi because of its antiseptic and stomach-calming properties, which were thought to prevent any ill effects of bad raw fish. Now, it’s served mainly as a way to cleanse the palate. 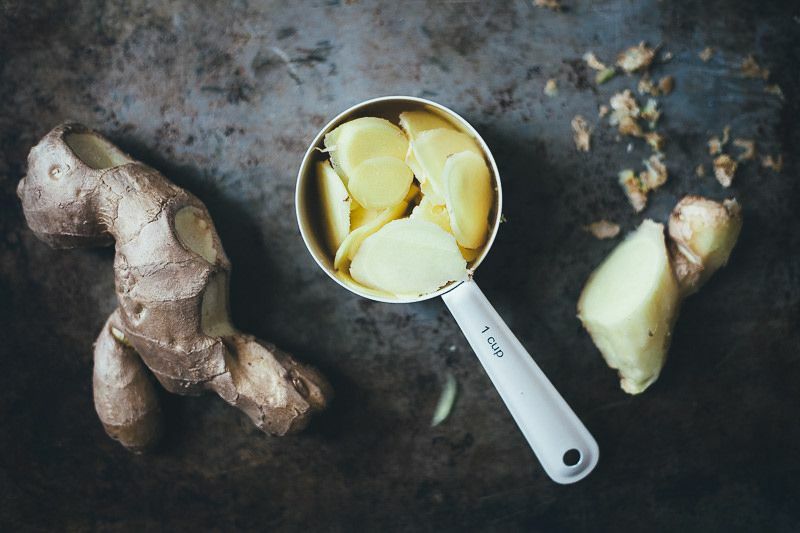 Rinse the ginger and then use a spoon to gently scrape off the skin. Slice it very thinly, ideally with a mandoline or a vegetable peeler in order to get the slices extra thin (a sharp knife will work, too). 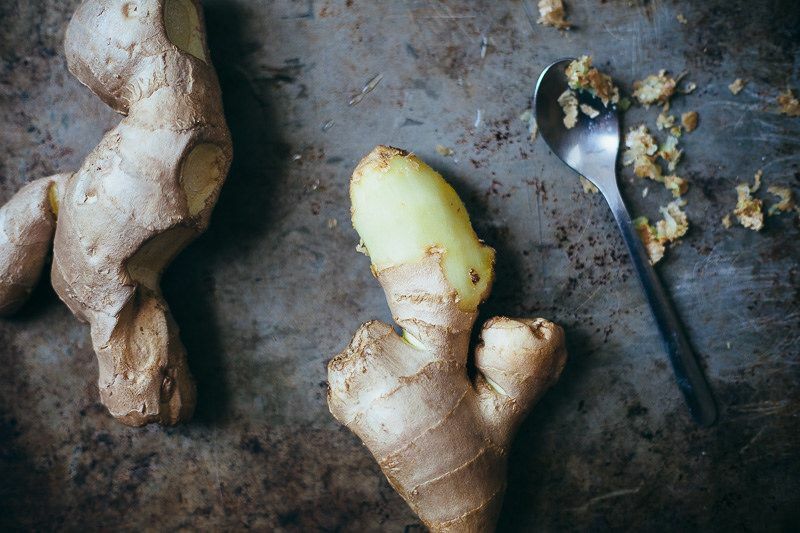 You should have around 1 cup of sliced ginger. Place it in a sterilized jar. In a small saucepan, stir together the sugar, water, rice vinegar, and salt so that the sugar dissolves. Bring the mixture to a boil over medium-high heat and then pour it over the ginger. 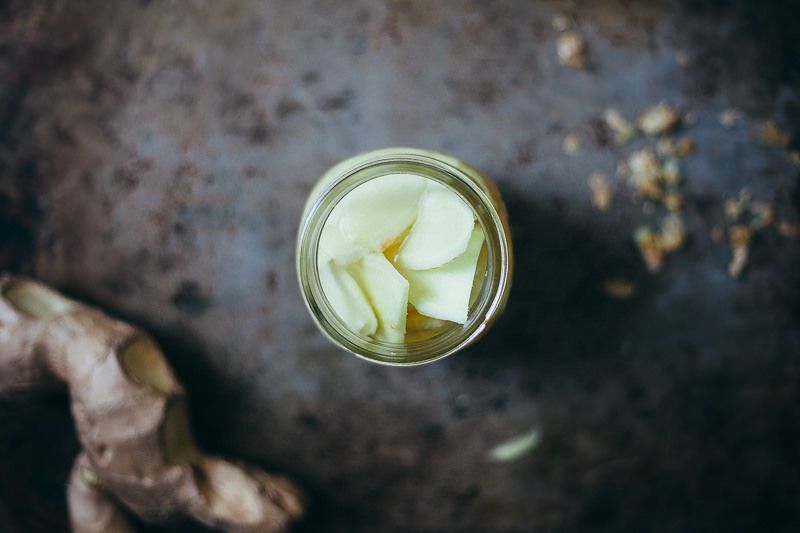 Let the liquid cool slightly, then cover the jar and refrigerate it overnight before serving the ginger. It will keep in the fridge for up to two weeks. I'm diabetic and avoid sugar in recipes. Can you leave out the sugar in this recipe or substitute something else? Yes, I’m not diabetic, and try not to be one. So I cut sugar down as much as I can and I definitely like mine without the sugar. But keep in mind I’m Asian. I get use to the Spicy pickle ginger. Not only the sugar that I cut. I cut down the salt too. My daughter, Alina, introduced me to the concepts of eating the natural food , less salt and sugar , she called it “ low reward food” after a while I get use to it and when I go out or eat at the restaurant, I found their food too salty and too sweet. Can cider vinegar be used instead of rice vinegar? I read a recipe for pickled young ginger that called for the ginger to be added to the jar peeled but in whole pieces. You were supposed to thinly slice as needed. I did that and it did pickle all the way through. Don't know if it comes out any better that way or lasts longer but it does work. The pink color traditionally comes from shiso leaves which are a nice addition when you can find them fresh. I'm curious about the two week shelf life. with all that vinegar and sugar, I'd think it'd be more like several months. How did you come up with two weeks? I think they just don't want to be responsible for someone getting food poisoning cause of their recipe. 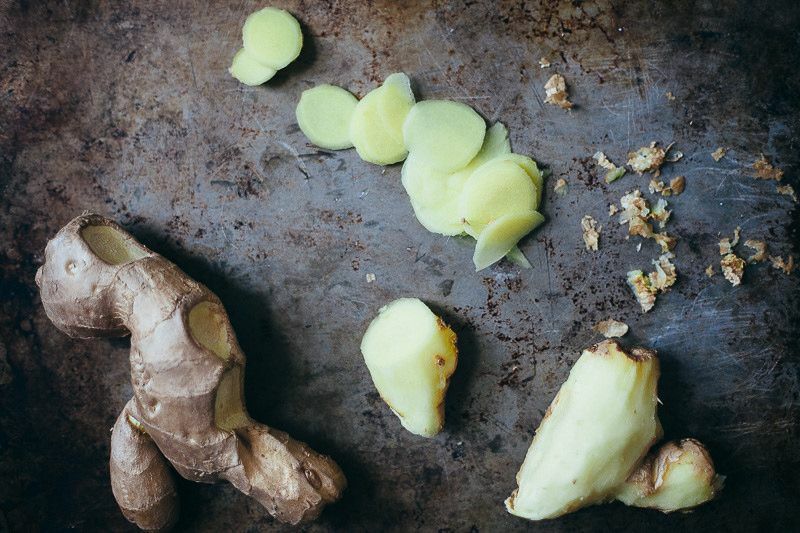 Can you use ginger that's been frozen? Or would that be too watery (is that a word)? Thanks! Great recipe! I use honey instead of sugar and it turns out great! Ok thank you thank you thank you for this. I had sushi two days ago and was just wondering why I'd never made my own. Doing this pronto! !